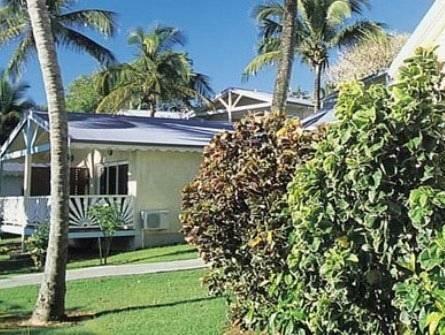 ﻿ Best Price on Hotel Eden Palm in Sainte Anne + Reviews! Located a 10-minute walk from Saint Anne and Caravelle Beach, Hotel Eden Palm offers an outdoor pool, hot tub and Hammam. The air-conditioned suites and bungalows have private terraces overlooking the lush gardens. Each Eden Palm suite and bungalow has bright décor and a seating area with TV. The private bathrooms include a selection of toiletries. The Eden Palm has a gym. Eden Palm also has a reception with a tour desk. Please note that pets under 10 kg are allowed, but must be kept in your room. Pets cannot be brought into public areas of the hotel.